US Secretary of State Mike Pompeo has called on India and Pakistan to avoid "further military activity" following a dramatic escalation of tensions between the two South Asian neighbors. His comments on Tuesday came a day after Pakistan said it reserved the right to respond to Indian air reports that hit near the northern Pakistani village of Jaba, located about. 10 km west of the border with Pakistan's administered Kashmir and 60 km from the control line, which separates Indian and Pakistani administration Kashmir. 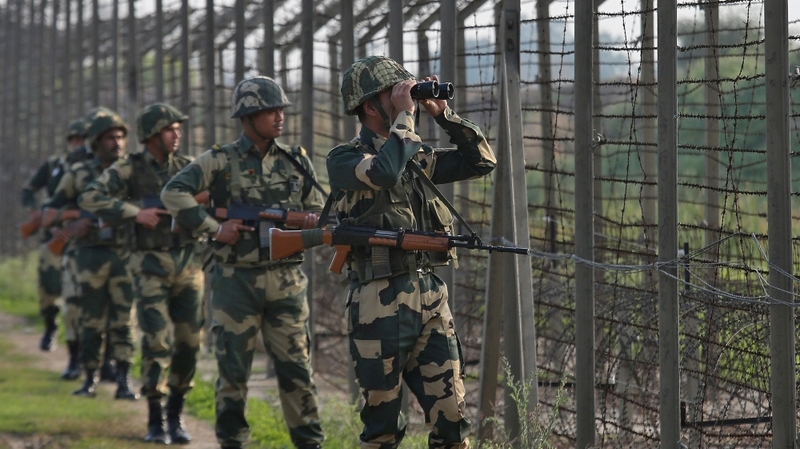 Separately, four people, including two children, were killed and seven others were injured Tuesday in an exchange of fire between Indian and Pakistani troops in Pakistan's administered Kashmir district of Kotli, according to officials. In the rising tensions, Pompeo said he held separate talks with the foreign ministers of India and Pakistan. "I expressed both ministers that we urge India and Pakistan to exercise restraint and avoid escalation at all costs," Pompeo said in a statement issued in Washington DC on Tuesday. "I also called on both ministers to prioritize direct communication and avoid further military activity," he added. On Tuesday, India's Foreign Minister Vijay Gokhale said the "non-military preventive action" aimed at a training camp for armed group Jaish-e-Muhammad (JeM), who claimed a suicide attack earlier this month, killing 42 Indian security forces and tense tensions between the neighbors. "In this operation, a very large number of JeM terrorists, coaches, senior commanders and groups of jihadis who were trained for [suicide] action were eliminated," Gokhale told journalists in New Delhi. However, Pakistan disputed the claim and said India was "a lie" and no accidents occurred from the attacks. "There is not even a single brick in the waste," said the large Pakistani military spokesman Asif Ghafoor at a press conference at the military headquarters in Rawalpindi. "If there was any infrastructure there would be some dirt. They say [hundreds of] people were killed – I say if there were even 10 people there would be some bodies there." Ghafoor invited foreign diplomats and media to visit the area to check Pakistan's version of the events. Witnesses and local journalists told Al Jazeera that the Indian ammunition seemed to hit a mostly uninhabited forest near the mountain village of Jaba. "The cargo load was dropped close to the forest in Batrasi, it is completely uninhabited," said Khalid Chaudhry, a local journalist. Two other journalists on site confirmed this version of the events. After the air strikes, President Pakistan's Prime Minister Imran Khan chaired a meeting of the country's National Security Committee, which includes both civilian and military leadership. Khan also called a special meeting of Pakistan's National Command Authority – the country's top nuclear decision-making body – Wednesday. "Pakistan must respond to the time and place it chooses", a government statement said.